The race for Governor of Massachusetts is now set. 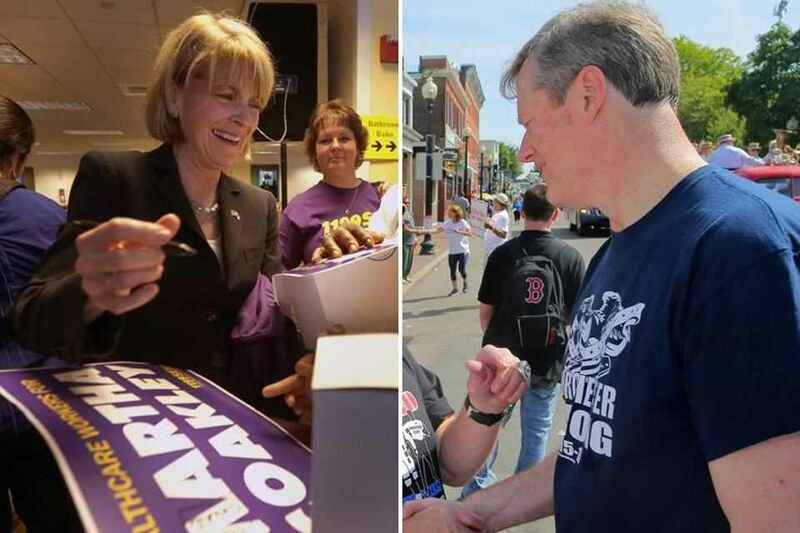 It will be Charlie Baker versus Martha Coakley. 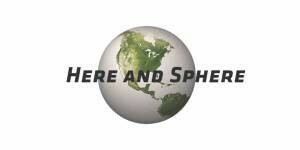 That one is a Republican and the other a Democrat means less than observers may think. A majority of Massachusetts belongs to neither party, and most who do belong to ine or the other party don’t necessarily sign on to the party’s platform. In Massachusetts a solid majority votes for the candidate, period. Still, self-identiied Democrats outnumher self-identified Republicans by three to one; and most self-identifieds vote the party they identify with. Thus Baker’s task is a harder one than just to outgun Coakley. Still, if Baker does what i think he ought, the race is his to lose. He’s a far more accomplisued manager than Coakley, advocates much more specific reforms than she has, and has a far more politically potent running mate (Karyn Polito) than Coakley has ended up with. Steve Kerrigan has strong credentials within the Democratic party structure, but Polito has been a selectwoman, state representative, and businesswoman. There really is no comparison. (3) make clear that his vision for Massachusetts is exactly what our governor’s office has always seen, these past 24 years beginning with Bill Weld : expanding the Boston economy’s success to cities beyond Route 495; bringing progressive social services to all who need them, well managed and accountable; and assure best practices to all the state’;s schhols, public and charter. (4) keep outreaching to all the communities of color and ethnicoty, to immigrants, and to people of diverse lifestyles, in the cities and elsewhere in our state. At the same time, Baker should be very clear that while he has the background and the commitment to bring efficiency, transparency, and accountability to state administration and will fault the Patrick administration where it need be faulted, Coakley cannot make that criticism and probably can’t effect those changes. Baker should add that the Speaker, Robert DeLeo, will work with him much more accountably than with Coakley, because as Baker can command state administration, DeLeo will not feel a need to legislate change without attending on the Governor’s progress. The critique is certainly there, from the two hundred million dollar health connector collapse to the failure of DCF, from more hundreds of millions of dollars in local aid cuts to poor, even scandalous, appointments to some high-level administrative positions. Coakley has accepted Deval Patrick’s support (the Patrick endorsement did AG candidate Warren Tolman no good, by the way, on Primary day); how pointedly she can she now critique him ? Baker has the advantage of being able to stay on course — consistency which in itself may convince many voters that his hand on the wheel is a steady one. Coakley, meanwhile, will have to change utterly, from vague and glib to — to whatever she now isn’t. Not exactly a sign of sureness. And now the numbers : Baker had 31 to 32 percent of all pre-primary voters in hand. He supposedly wins 44 percent of Grossman voters, who equal about 6 percent of the state. That’s 38 percent. He also likely wins five of Don Berwick’s 22 percent. that’s another two percent of the vote, giving Baker 40. Coakley won 42 percent of the Democratic primary vote. That’s aabout 16 percent of the state. She wins 32 percent of Grossman voters and, probably, 17 of Berwick’s 22 points. that adds 9 points, giving her 25 percent of the vote. Coakley also wins about one third of “unenrolled” voters, adding another 17 points to her total of 42 points. The decision thus rests with the 18 percent who are undecided. Most are no-party voters. As Baker wins no-party voters about 7 to 4, he should win the 18 percent by about 11 to 7, giving him a 52 to 48 win in November. That’s about how I see it. Possibly even a little better, if baker can take a few of Coakley’s votes away. This is, by the way, very much in line with how we’ve elected all our governors in Massachusetts (except Deval Patrick) since Bill Weld’s 1990 election changed the entire shape of Massachusetts governor elections : by four to six points over a compromised Democratic opponent. The same reality holds ; a superior, more flexible and independent, “blue ribbon” candidate running as a Republican, and a better run campaign resting on the need, administratively and legislaively, to balance the huge power possessed by the Speaker of the House. That reality applies now maybe more than even in 1990.